Yuri Gagarin was the Soviet pilot whose name is famous to any schoolchild. He became the example and legend to people in the USSR and the whole world. Gagarin became the Honorary Citizen in many foreign cities and the international social activist. It was Yuri Alekseyevich who turned over a new leaf of space exploration; he continues to be the symbol of Soviet science and aircraft development. Yuri Gagarin was born on March 9, 1934 in the village of Klushino, in the Western region of the USSR, in a family of wealthy peasants. The boy was the third of four children. Yura's childhood passed quietly and joyfully, his father and mother paid much attention to him. Alexei Ivanovich, the head of the family, did a lot of crafts out of wood and attached to the children. At six, Yura went to school, but he finished only his first year when the Great Patriotic War began. The German army seized a large part of the Soviet territory including Klushino. Consequently, most organizations including schools were closed. When Gagarin became a famous person, he preferred not to remember the dark times of the occupation. German soldiers threw the family out of the house; as they were retreating, they took young people as prisoners of war. 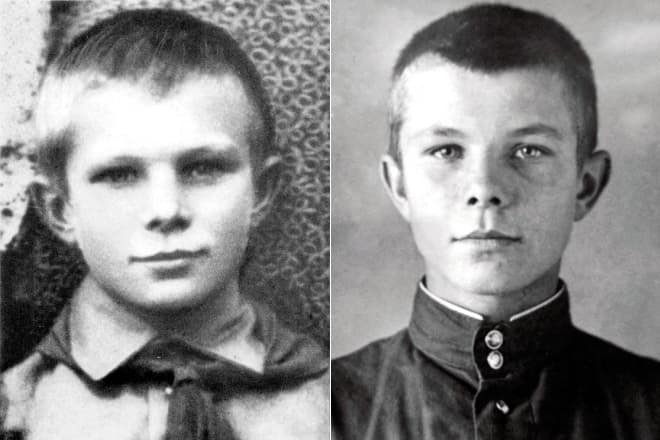 Gagarin’s brother and sister were taken. In 1943, the village was freed. After the end of the war, the family moved to Gzhatsk where the boy continued to study. Yura was a talented and inquisitive person; he was engaged in many activities from music to photography. When Gagarin finished six classes, he decided to move to Moscow: he felt constrained in the small town. The parents tried to persuade the ambitious young man to give up this idea but failed. In 1949, 15-year-old Gagarin moved to the capital of the country. The teenager lived with his relatives, studied in the vocational school and simultaneously learned the program of the seventh grade at working-class youth school. At that time, Gagarin took an interest in basketball and became a captain of a team. In 1951, the young man moved to Saratov where he began to study at the industrial school. This is when he fell in love with the sky. In 1954, Gagarin joined the local flying club where he listened to reports of the founding fathers of cosmonautics. The young man got acquainted with Tsiolkovsky’s ideas and took fancy in the idea of flying out of Earth; at that period, he could hardly imagine where his hobby would lead him. In the next hear, Gagarin finished the school; he continued to be the flying club member and even flew a small training plane several times. Several months after the would-be cosmonaut finished his studies, he was called upon the army, the First Chkalov Air Force Pilot's School. There, Gagarin had a serious conflict which could have cost the young man his life. As the platoon leader’s assistant, he was very strict in terms of discipline. Naturally, his peers did not like that. One night, he was caught and beaten up severely; the young man spent a month in a hospital before he came back to service. However, this incident did not break the young man’s character; he did not change his attitude toward his mentees. Gagarin could efficiently manage any task apart from landing. His airplane was always having some problems with its nose. The school’s requirements were demanding; it was decided Gagarin should be expelled. The young man could not imagine his life without flying; he was ready to give up his career, but the head of the school who had been thinking about the mysterious failures of the best student drew attention to his height and guesstimated the view angle was the problem. Gagarin was given another chance; before the flight, he put a saddle on his seat in order to raise the level of the seat. This decision was right. 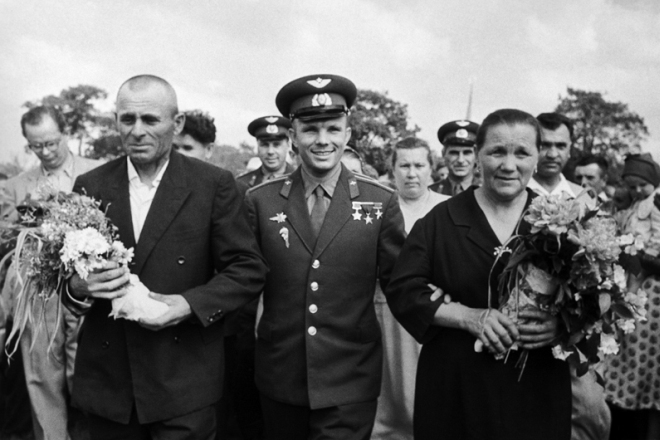 In 1957, Yuri Gagarin graduated from the school and started serving in Murmansk region. 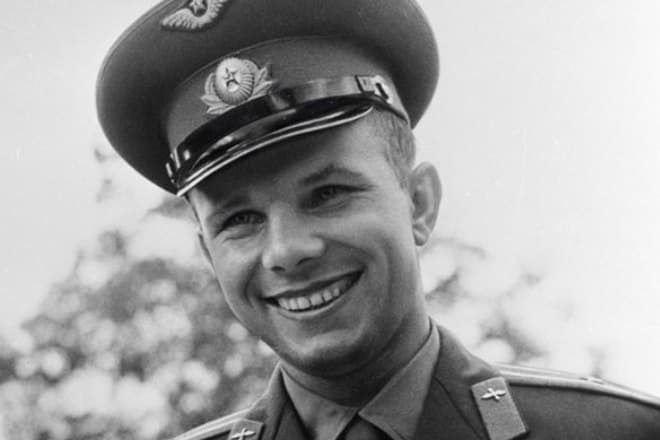 In 1959, Gagarin became the senior lieutenant and the first-class military pilot. At the government level, the search of candidates for the space flight began. As the pilot learned it, he submitted the request to enlist him as a candidate. The selection was not based on skills or achievements: it was Korolev himself who controlled the whole process and paid much attention to candidates’ physical characteristics. There were some weight and size limitations in the first ships. Yuri’s height which had almost cost him his career became his golden ticket at that moment. The young man’s height was 165 cm. (according to some data, even 157 cm. ), and his weight was 68 kg. If Gagarin had been taller or larger, he could have failed to fit in the space ship. After numerous tests, Gagarin found himself among 20 possible cosmonauts. In March 1960, he started training. Despite the harsh competition, even rivals liked Gagarin. The strong, reliable, and kind-hearted young man was not jealous and never thought he was better or worse than other people; one could see it from his manners and speech. The cosmonaut was initiative; he worked hard and with pleasure. Gagarin loved the sky and devoted himself to work. He had no time for anything else. 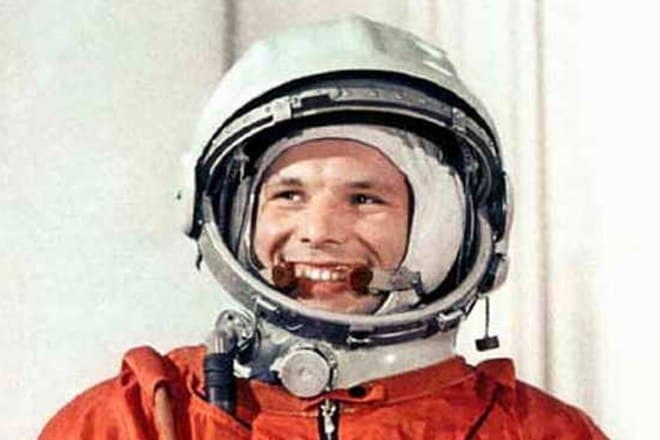 Following the results of the anonymous survey among the candidates, the majority considered Gagarin to be the right person to fly into space. Although the man was not the leader in any sphere of preparation, the unique combination of his skills, character traits, and psychological stability made him the ideal professional. In 1961, due to the rivalry between the Soviet Union and the USA, it was necessary to identify the final candidate for the space flight as soon as possible and schedule the event for mid-April at the latest. At that time, there was the information the American ship with a man onboard was going to fly on April 20. Thus, Gagarin was selected among the three leaders to become the first cosmonaut. It happened at the last moment, less than a month before the flight. German Titov was appointed the reserve cosmonaut. Those who like history still ponder why it was Gagarin, not Titov, who got into space first. In Korolev’s notes, there is a remark about Titov’s better preparation. However, it was Gagarin who was selected in the last moment. 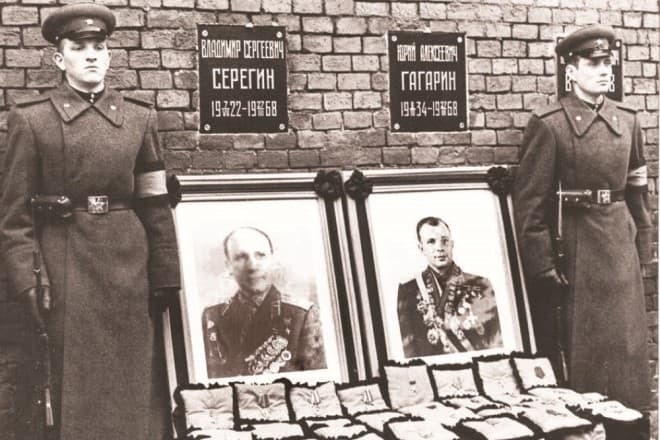 According to one of the theories, the political factor played the decisive role here: Yuri had a perfect Slavic appearance and clean family biography. Consequently, the authorities considered he was better for the role of the Soviet space exploration representative. Another theory is that Titov was more valuable for the project, and the project leaders did not want to risk it and send him in the first place. Simultaneously, the work on prolonged space stay was performed. Korolev thought German Titov was more suitable to spend a whole day outside Earth. There is another theory: it was Sergei Korolev who chose Gagarin. Media claim Yuri became the favorite of the authorities when he was the only one who accepted the offer to enter “Vostok” during the first demonstration of the ship. The cosmonaut’s mother said Yuri passed some kind of unofficial test created by Korolev. 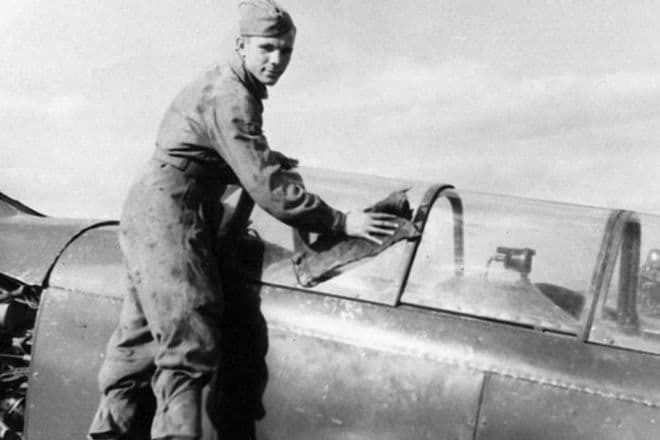 The engineer could not select one of the five pilots: all of them except for Komarov were senior lieutenants and had similar height and weight. Korolev talked to each of them and asked trick questions about the centrifuge. 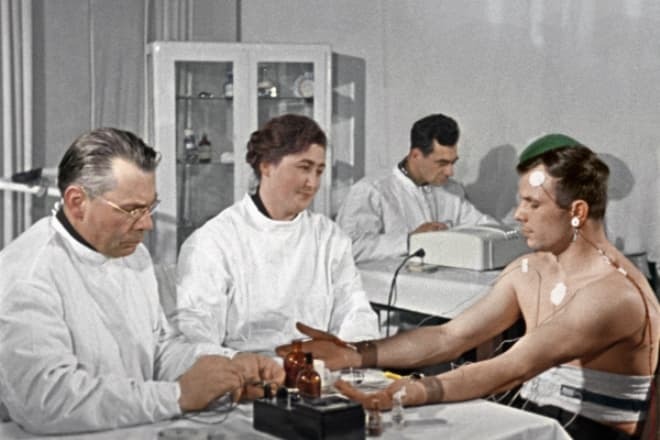 Gagarin confessed he felt terrible and even hated this test. In comparison, other candidates reported the preparation was excellent. Thus, Yuri passed the test of honesty: it was important for Korolev and his crew to get the information about all problems and errors from a cosmonaut without seeing his improvisation and poker face. Journalists and researchers admit the question why Gagarin became the first person in space is not correct; Yuri was not one. In 1993, M. Rudenko and N. Varvarov published in “Vozdushny Transport” (“Air Transport”) the names of three pilots. 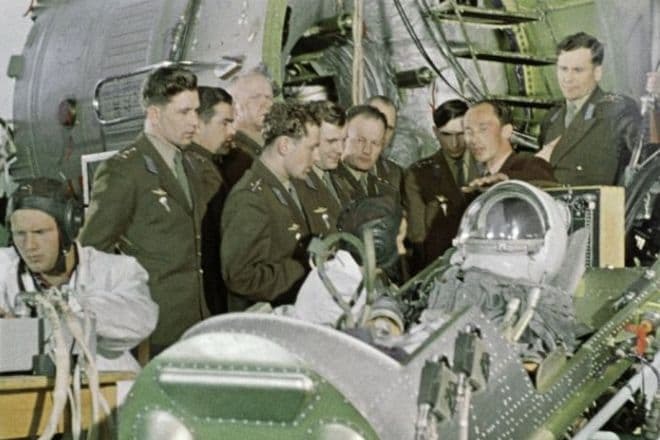 According to the journalists, in 1957, the pilot Ledovskich died during the suborbital flight; in 1958, Shavorin perished; in 1959, Mitkov died. Experiments remained classified; in 1960, pilots were selected for the cosmonaut training program. No space professional denied the content of the article. The flight on “Vostok” was hazardous for Gagarin’s life. The ship was constructed in a hurry, so some important systems had not been duplicated. “Vostok” did not have the soft-landing system, and there was no emergency rescue system for possible problems during the start. It was highly probable that the first cosmonaut would die without even getting in the air. On April 12, 1961, the flight from Baikonur Cosmodrome occurred. Because there was some equipment malfunction, Gagarin rose 100 km. higher than planned. If there had been problems with braking, the cosmonaut would have to wait more than a month to come back to Earth; the supply of water and food would have given him only ten days. Despite numerous ordeals, Yuri Gagarin landed safely, although it was not the place where it was planned. The cosmonaut was taken to the nearest village where he called to his administration and reported the successful landing and absence of injuries. Because the flight was secret, even the Soviet media learned about the country’s technical breakthrough only the next day. As soon as the information spread, Gagarin turned into the world’s star. It was Nikita Khrushchev who contributed to that: he insisted the hero should be treated respectfully. On April 14, 1961, the great celebration was held in the man’s honor. In a month, Gagarin was sent abroad with the “Peace Mission” and visited more than 20 countries where he was engaged in some diplomatic work. 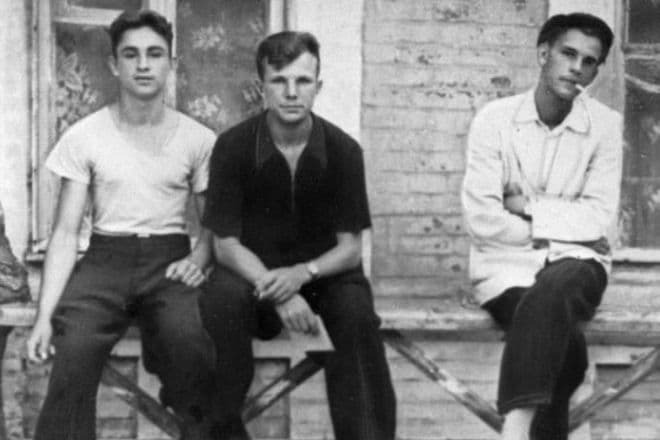 In all these journeys, Gagarin proved to be a delicate and charming young man. Yuri’s individual charm reinforced the USSR positive image. 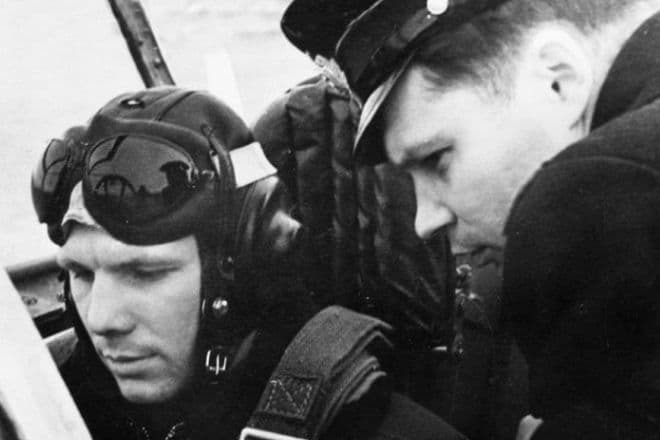 In the next few years, Yuri Gagarin was a social activist; he rarely took part in flights. The famous cosmonaut did his best to promote space activities and prepared to become the moon crew member. Besides, the colonel entered the Air Force Engineering Academy; he graduated a month before his death. 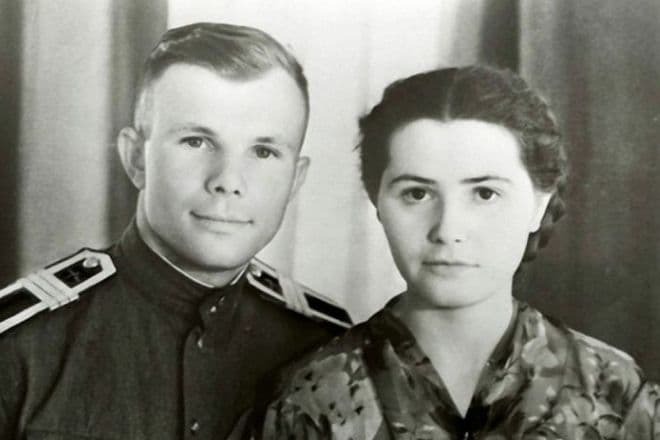 In 1957, Yuri Gagarin married Valentina Goryacheva, the medical technician in the Flight control center. In this marriage, there were two children: Lena was born in 1959, and Galina was born a month before the famous flight of her father, in March 1961. Yuri always had time for his daughters. The cosmonaut and the children adored animals: ducks, chickens, squirrels, and a doe lived in their house. The pilot’s wife resisted his zoo hobby at first but later accepted that. After her husband’s death, Valentina Goryacheva never married again. The grandchildren were born after the tragedy: Elena gave birth to the girl Ekaterina, and Galina gave birth to Yuri. The cosmonaut’s granddaughter became an art critic, and the grandson worked in the public administration sphere. On March 27, 1968, Gagarin had a test flight and for some reason did a maneuver too difficult to manage. The plane hit the ground. 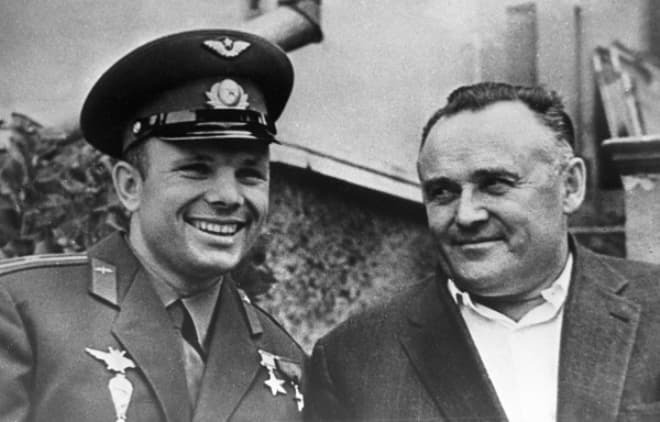 Gagarin and his instructor Vladimir Seryogin died. Their bodies were cremated; their urns are buried in the Kremlin wall. According to one of the possible theories, the tragedy took place because another plane got close to Gagarin’s MiG-15UTI and then sharply dodged; as a result, Gagarin’s plane went into a tailspin. Because the weather conditions data and plane indicators were wrong, the pilots had no time to get out from the fall. For many years, the truth was unknown. Since there was no accurate official explanation, many rumors and speculations about the first cosmonaut’s death appeared. 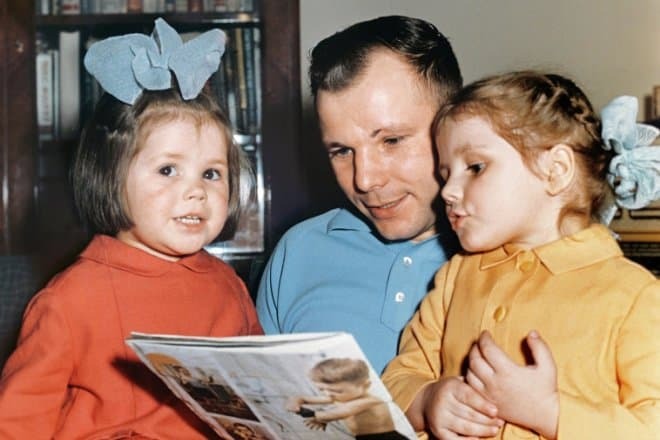 Conspiracy ideas were getting popular: some people believed Gagarin had a conflict with the administration which later got rid of him or falsified his death to arrest him in secret. Gagarin was also said to have staged the tragedy to escape. There was also the theory that Gagarin died when a new missile was being tested and the training flight covered the tracks of the space program experiment failure. In 2013, the cosmonaut Alexey Leonov shared the declassified information about Gagarin’s last flight. The version described above proved to be true: for some unknown reason, the fighter Su-15 appeared near Gagarin and Seryogin’s plane; its air flow made MiG-15UTI move spiral. The pilots died without removing the plane from the fall. Before Gagarin’s flight, TASS prepared three messages for different scenarios: the successful flight, the failure, and landing outside the USSR. The legendary phrase “poyekhali!” (“Off we go!”) is the quote from Dickens. All Soviet schoolchildren knew Gagarin’s call sign “Kedr” (“Cedar”). In Great Britain, the Queen herself invited the cosmonaut for a cup of tea; she stood next to him and took a picture with him which was the violation of the protocol. Elizabeth II explained her behavior: Gagarin was no longer the man of the Earth because he became celestial. Thus, there was no humiliating for a monarch to take a picture with him.